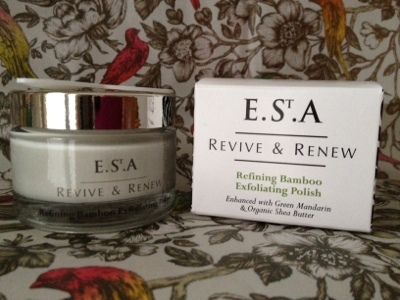 Eve of St. Agnes offer a range of natural skincare and body products. 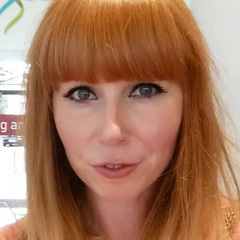 Aimed at giving a luxury feel to natural skincare, I was recently sent some their new Revive and Renew products to try out. 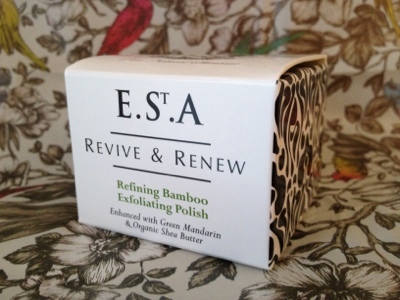 The Refining Bamboo Exfoliating Polish* is top of my list to share with you. It uses a mix of microdemabrasion grade bamboo, rosehip oil and organic shea butter to give a really gentle exfoliation to your skin. The packaging of this scrub feels really expensive. It comes in a heavy glass jar with a silver lid and a little spatula to scrape out the right amount of product. It reminds me a little bit of Creme de la Mer packaging, in that it feels expensive; however, this 50ml pot retails for £18, so just a fraction of the cost. The scrub itself is really fine. 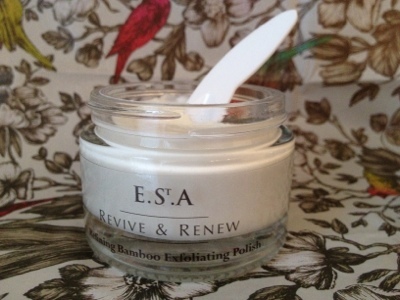 The tiny bamboo particles are applied to slightly damp skin, massaged in and then washed off with cold water. It recommends using the product up to twice a week if like me you have sensitive skin, but for those with oily skin, you can get away with using it more frequently if you like. I really like the smell of the scrub, which is a must for anything that goes on my face. It has a gentle, citrusy smell that isn't overpowering and doesn't linger behind once the scrub is washed off. I've found that a little of this goes a long way and one little spatula scoop easily does my whole face. I also haven't experienced any horrible post exfoliation tightness that I've had with other brands, perhaps down to the rosehip oil and shea butter in the formula. I think that this product is actually really good value. The pot should last for ages, even with regular use and I would definitely consider repurchasing this when it finally runs out. I've also just found out that this product was recently recognised in the 'commended' list of the Free From Skincare Awards - what a great achievement! Have you tried anything from Eve of St. Agnes before? Great post! This stuff sounds amazing, I've never heard of Eve of St. Agnes before though, where can you get it? I love that it comes with a wee spatula so you aren't digging your fingers in.